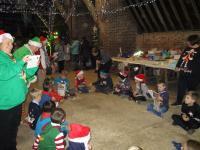 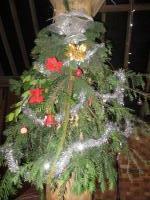 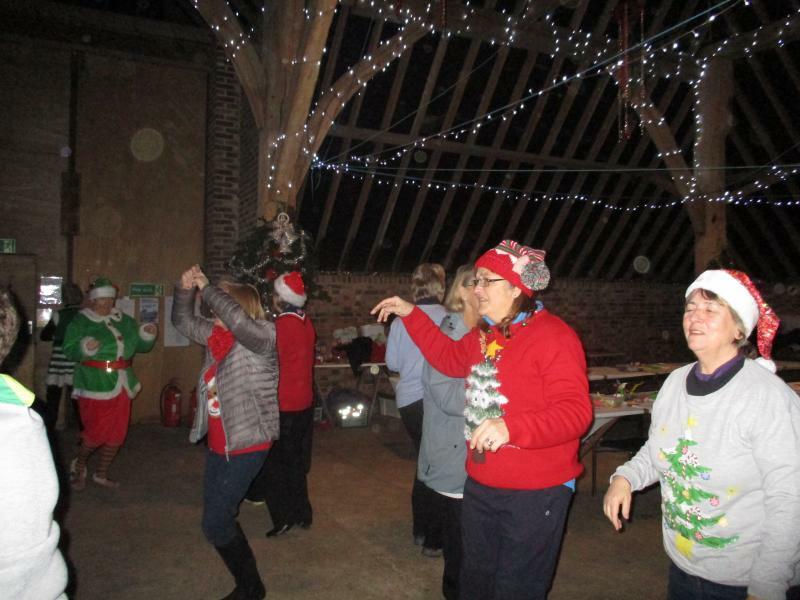 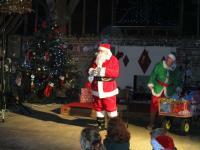 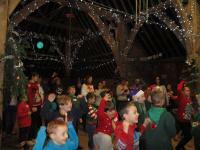 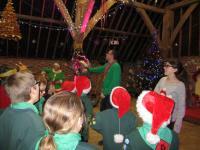 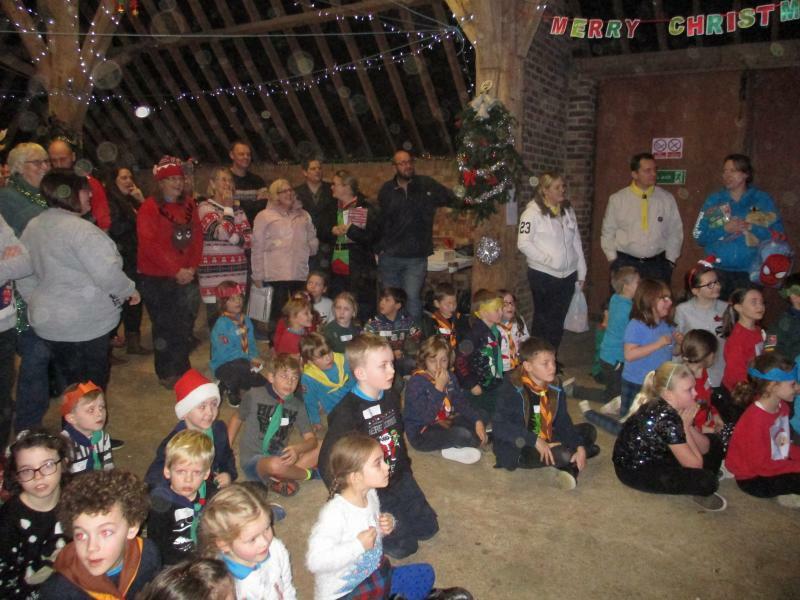 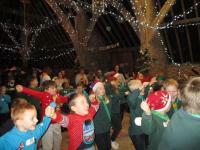 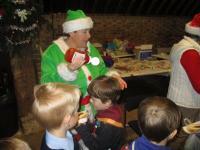 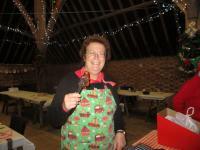 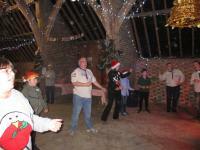 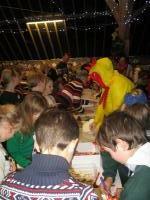 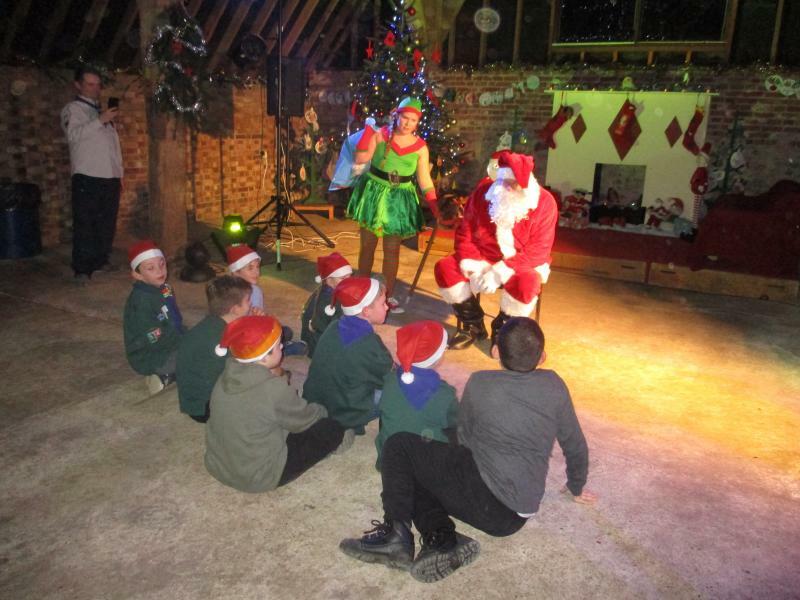 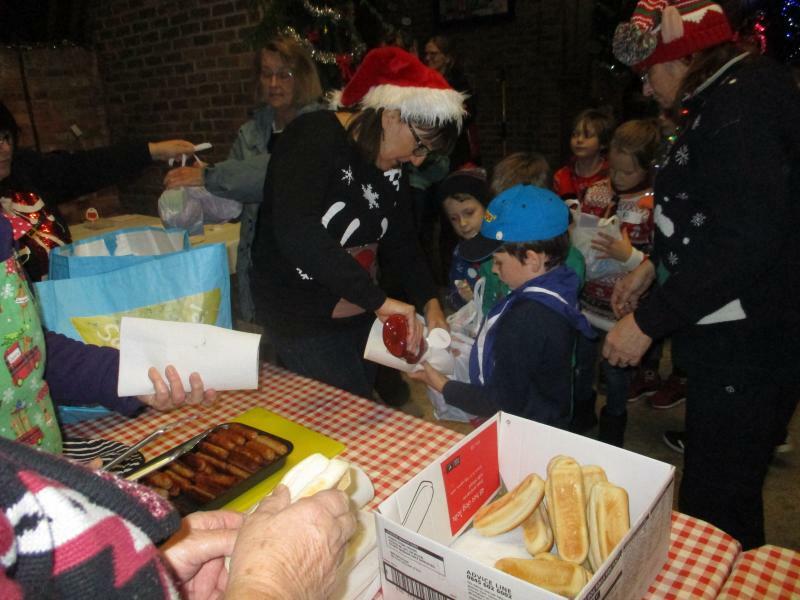 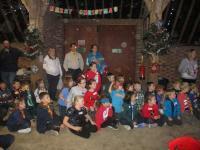 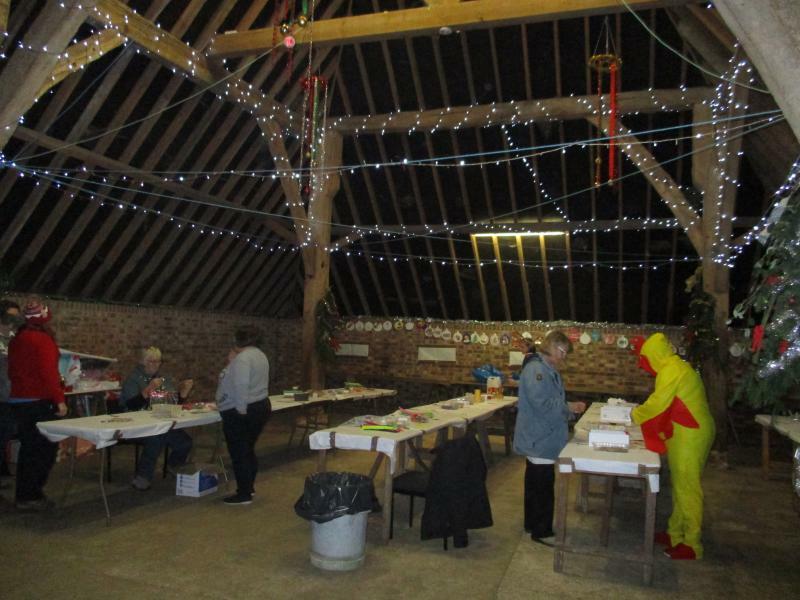 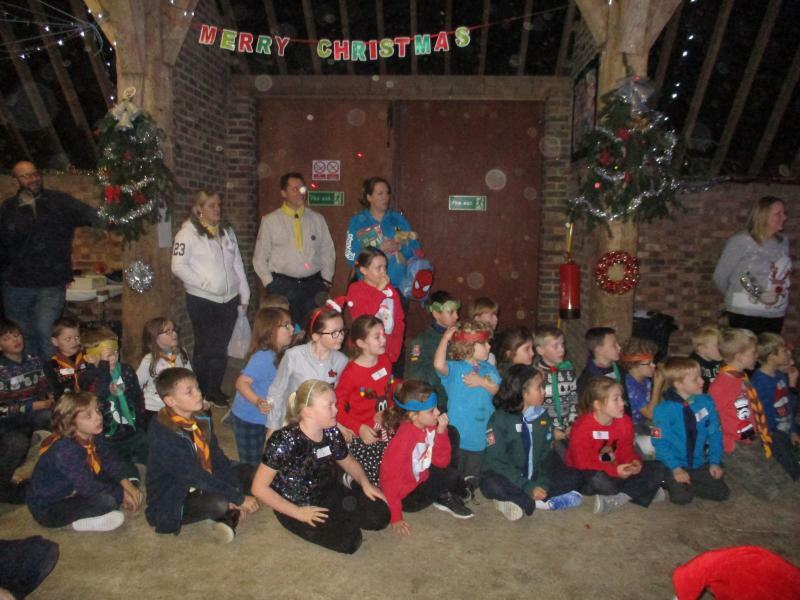 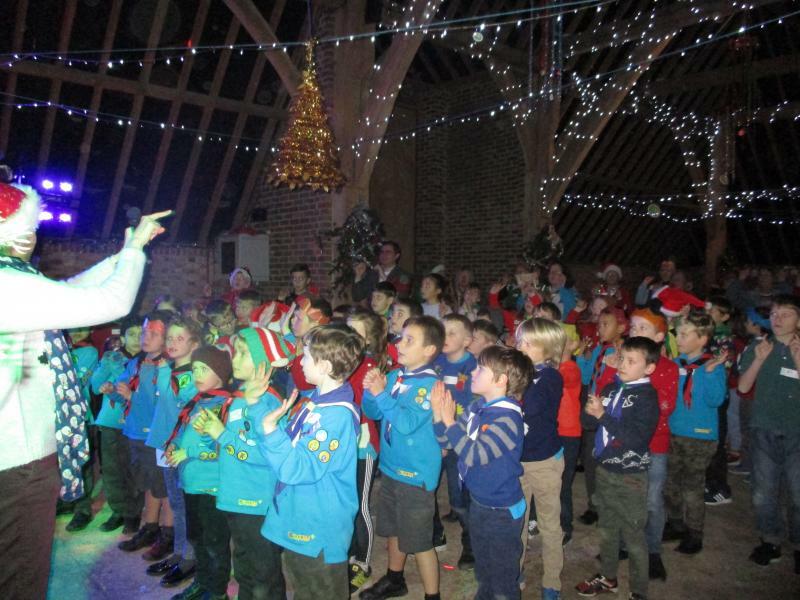 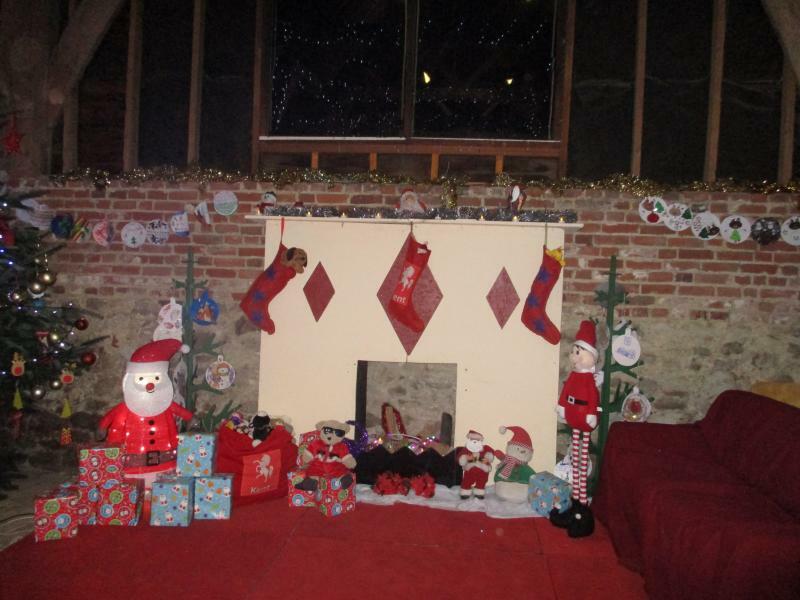 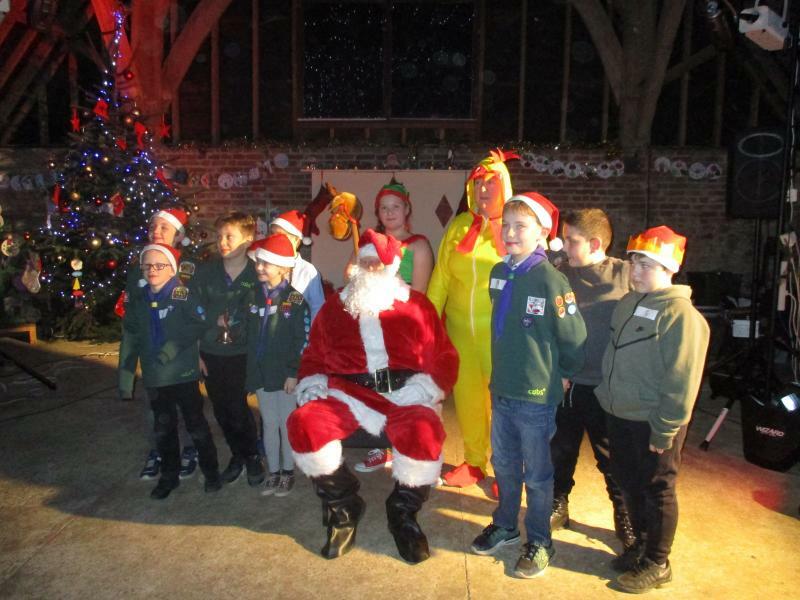 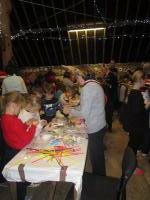 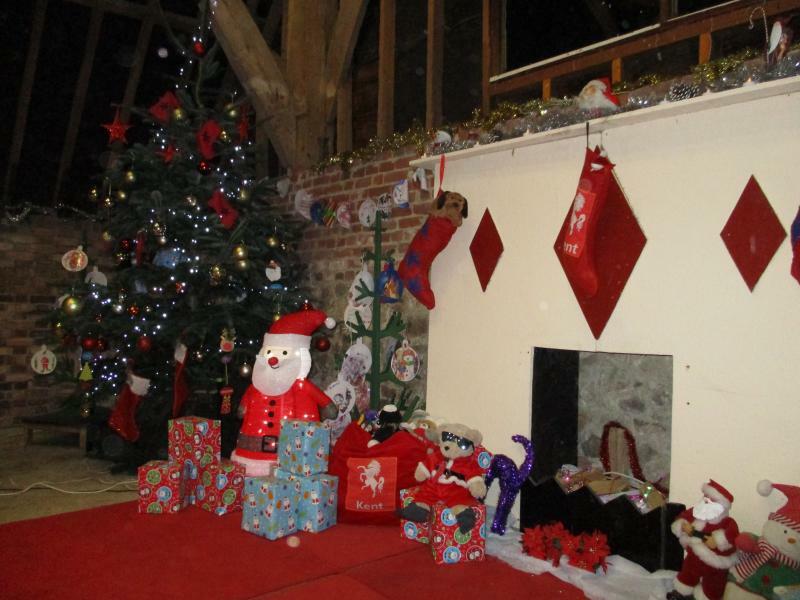 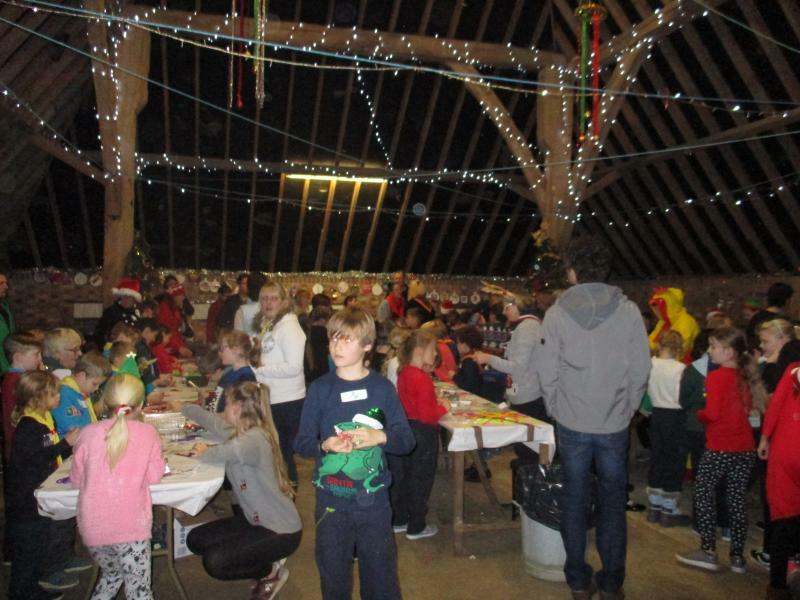 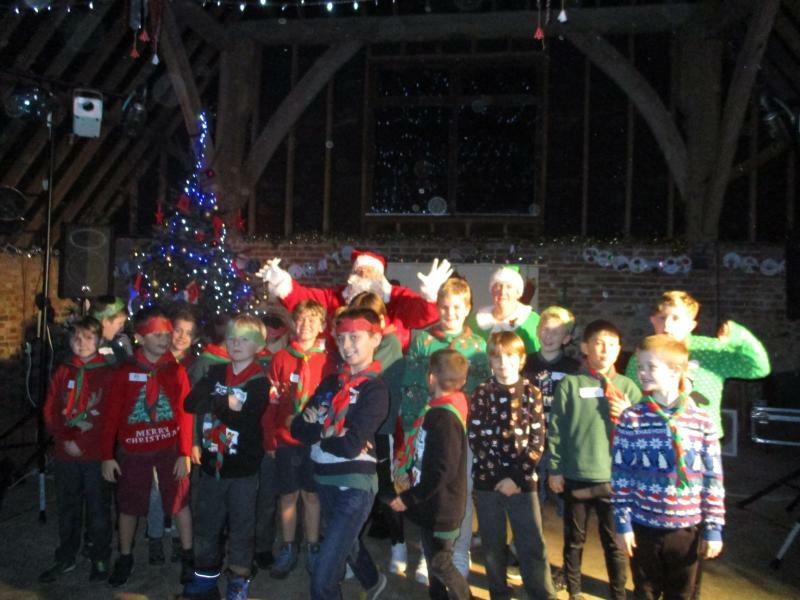 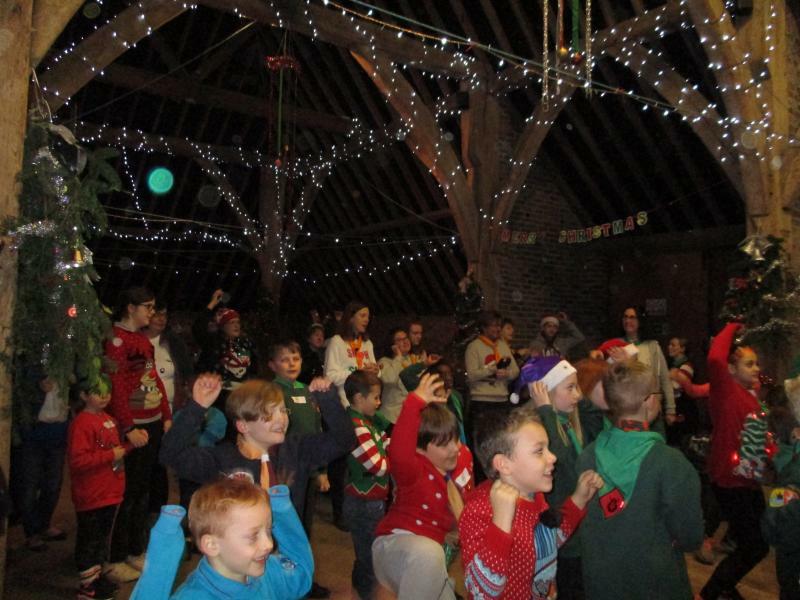 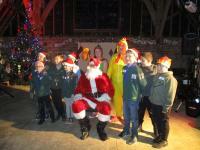 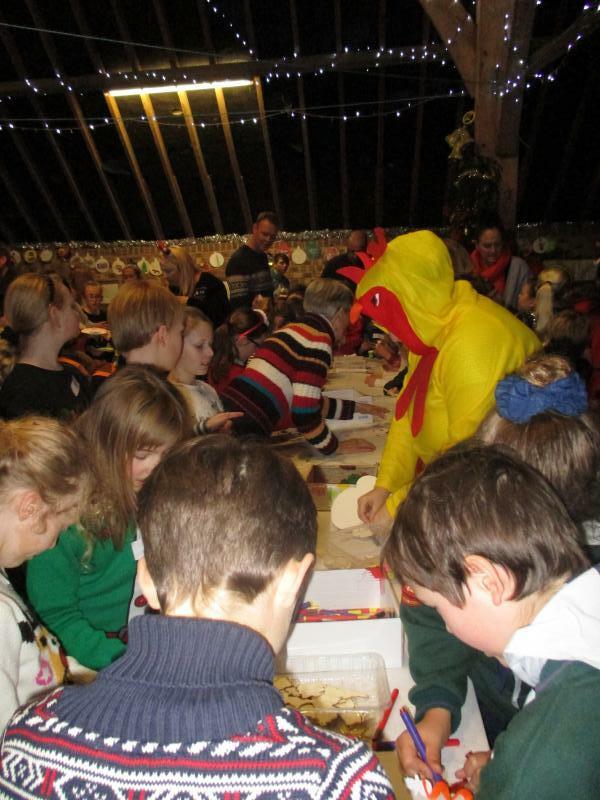 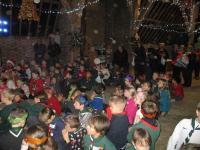 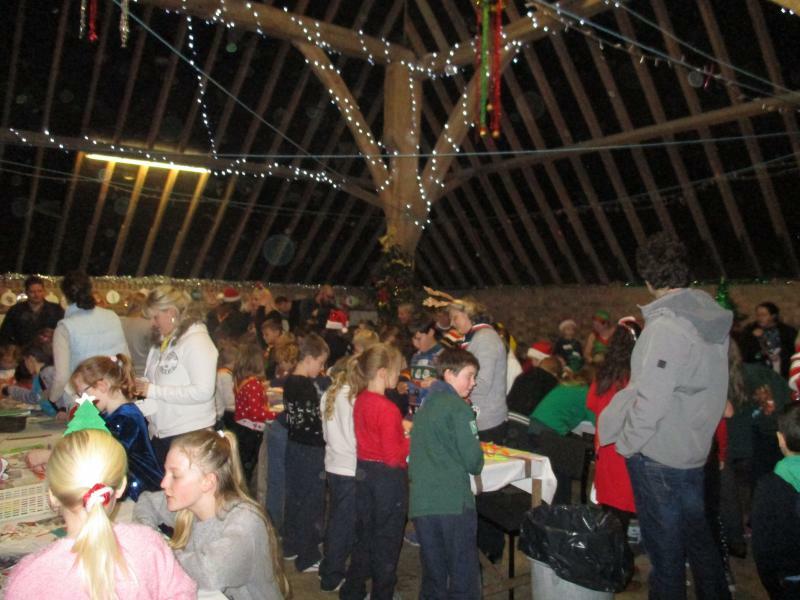 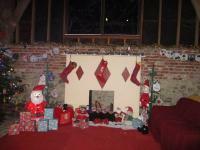 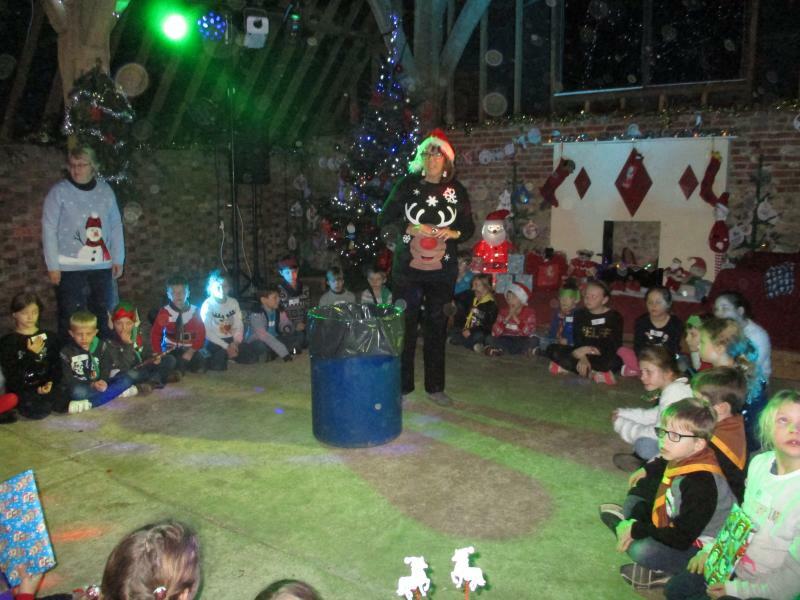 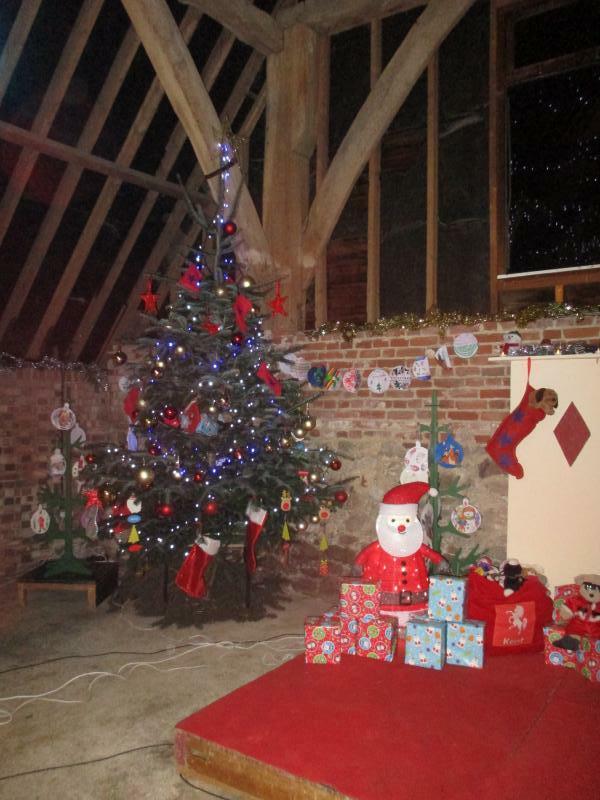 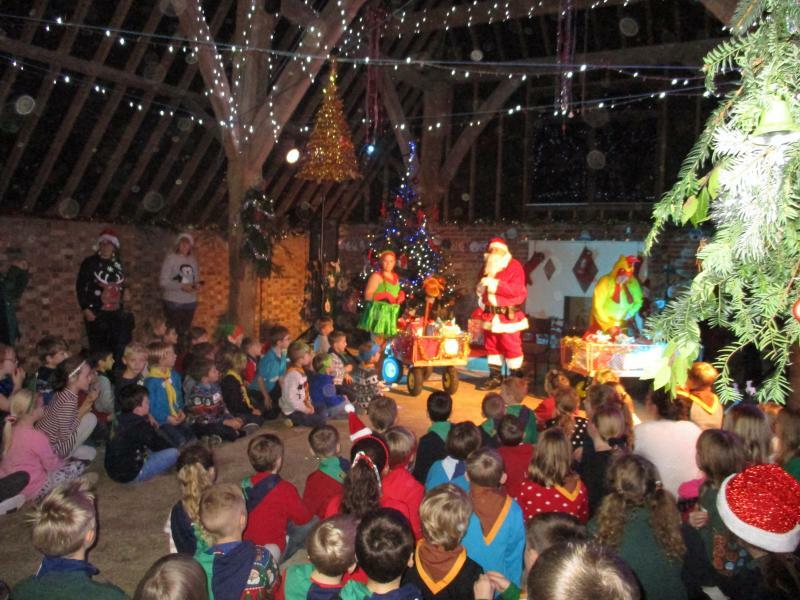 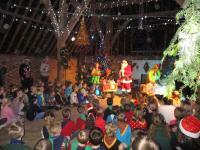 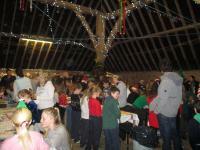 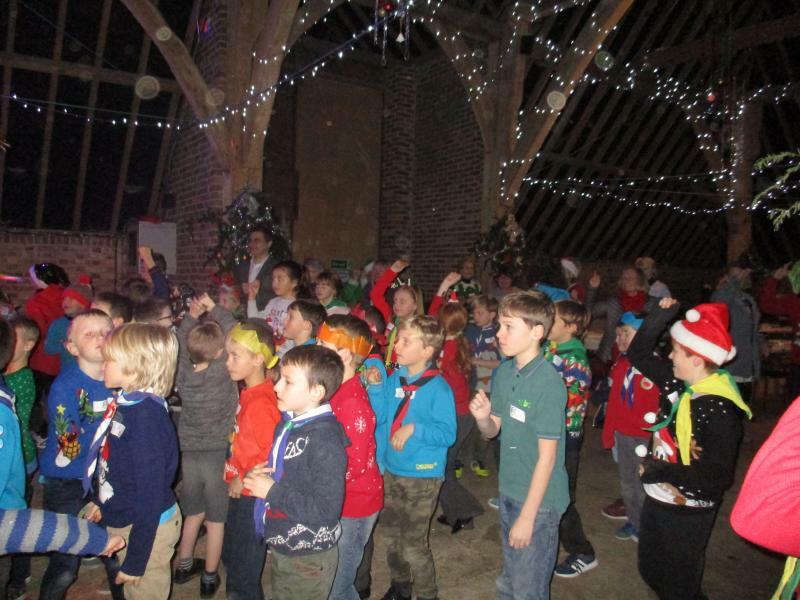 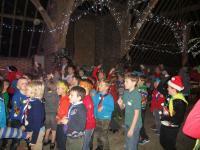 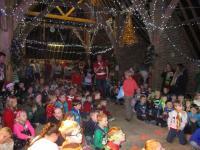 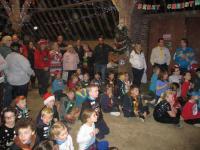 Nearly 500 Beavers, Cubs and Brownies came along to Lower Grange Farm to take part in eight parties organised by the Lower Grange Farm Active Support Team from the 11th to 14th December in a beautifully decorated barn. 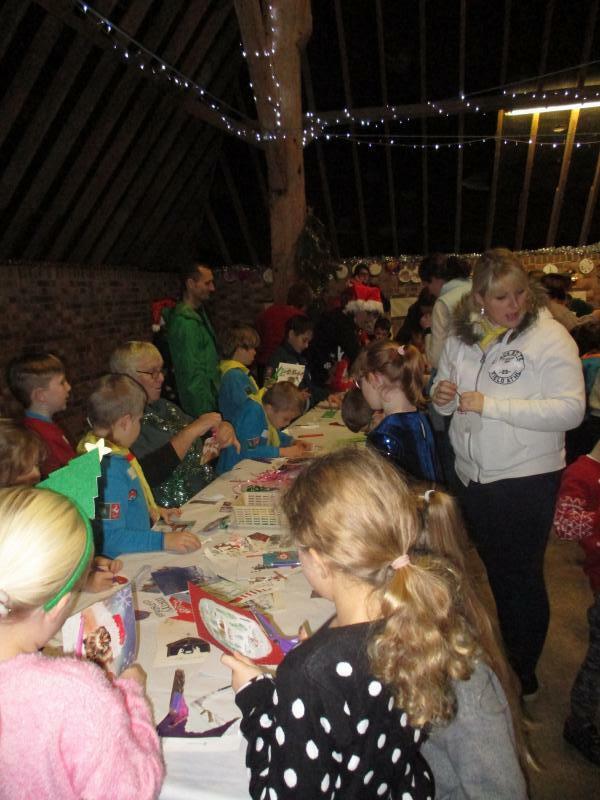 The young people were able to make some Christmassy craft items and most went home with at least two items covered in glitter! 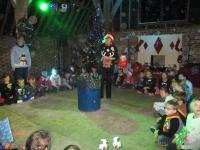 The "Hullabaloo" team which resurects each year in the guise of James, Ali, Kate and Hattie entertained the children with dances and party games. 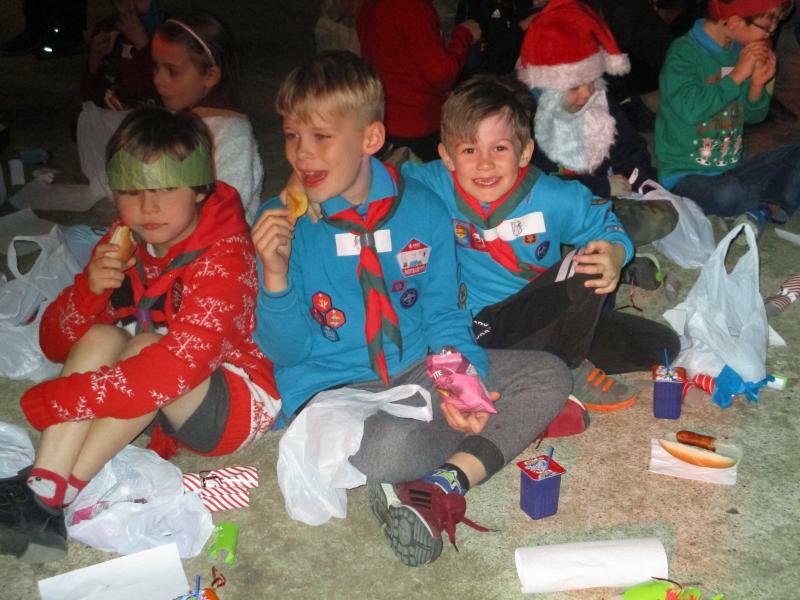 All too soon it was time for tea and during the course of the week, the team cooked and prepared 500 hot dogs and party bags containing crisps, cake, choc bar, drink and cracker. 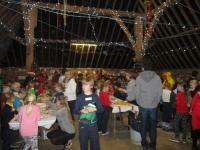 A mammoth undertaking. 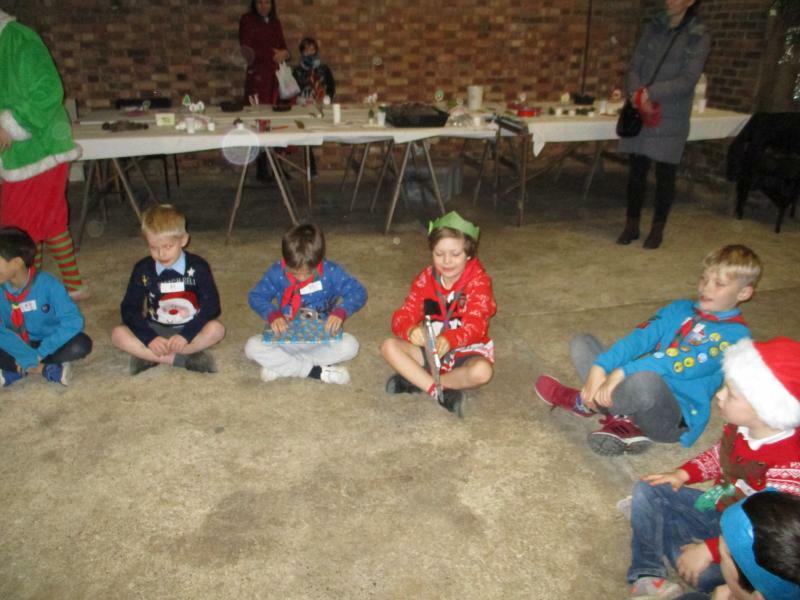 After tea the traditional pass the parcel game is very popular with lots of parcels going round several circles ensuring everyone had a go. 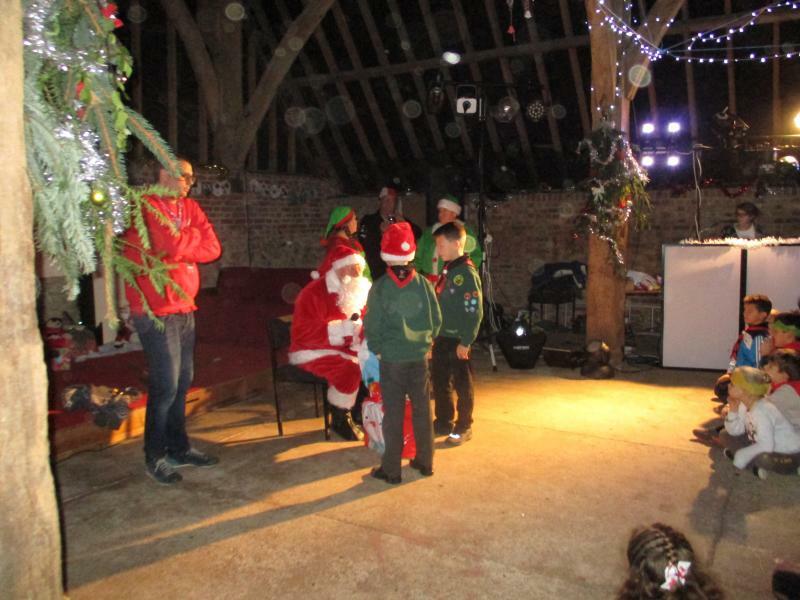 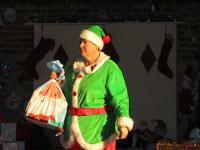 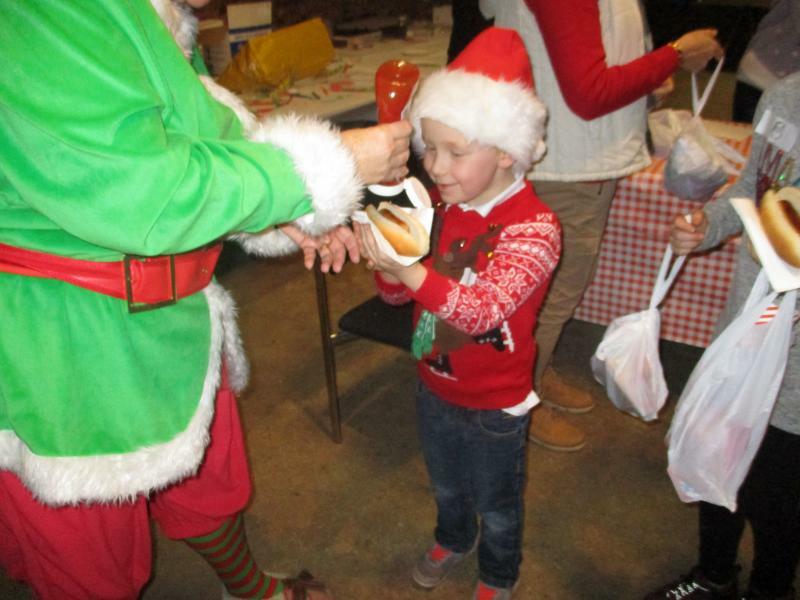 Then the culmination of the party with a visit from Santa, who made sure everyone went home with a present. 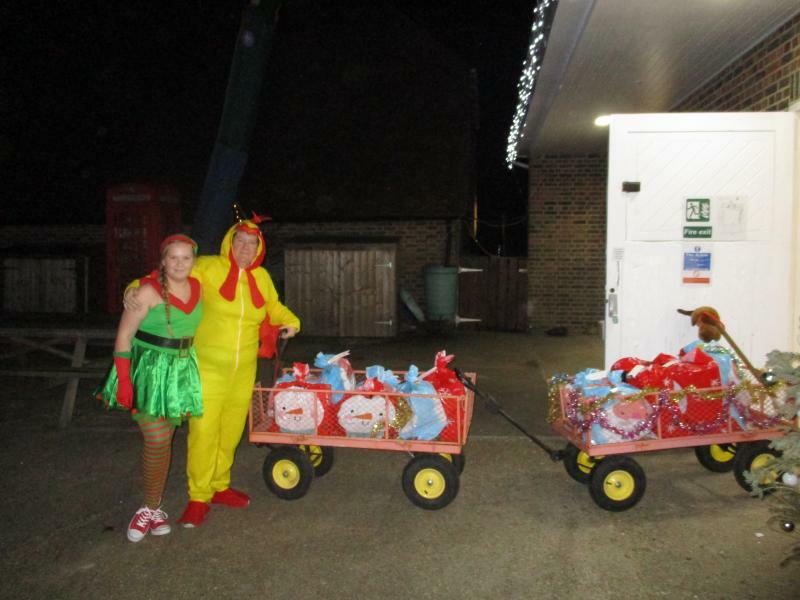 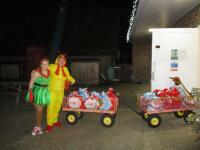 He was assisted each night by eleves who looked remarkably like Julie and Ellie! 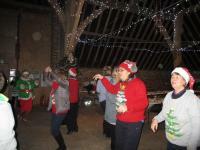 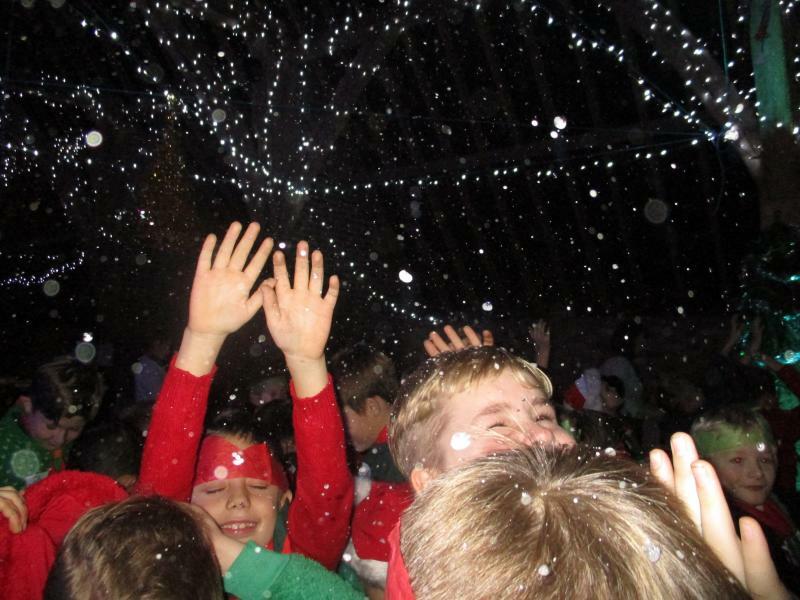 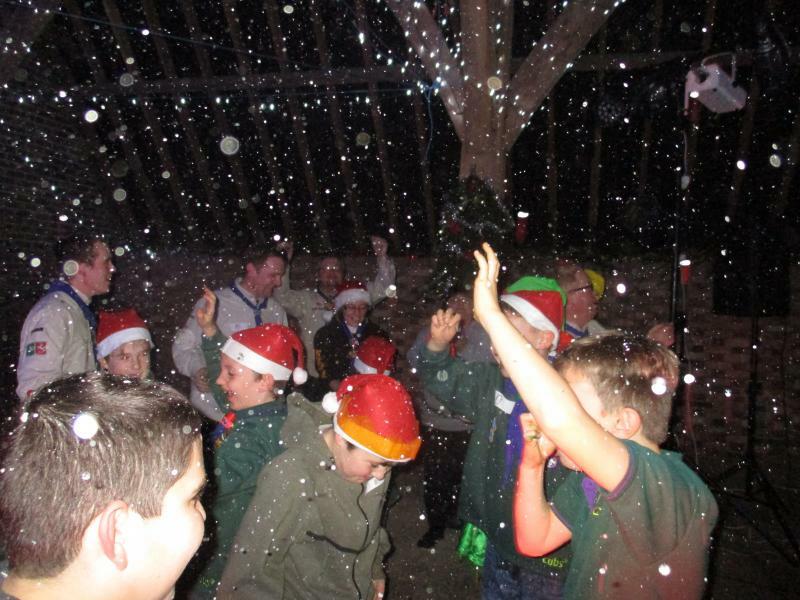 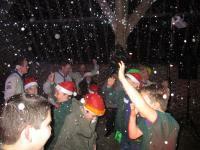 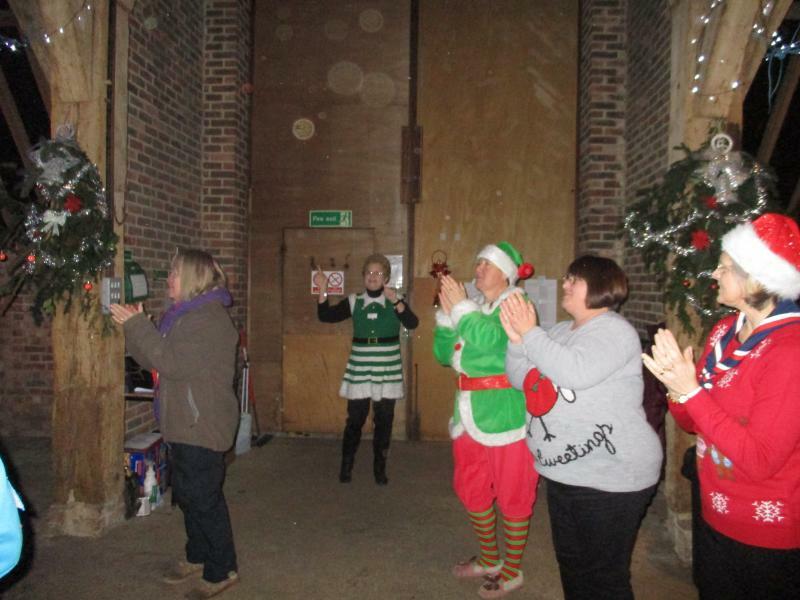 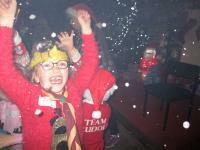 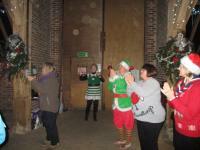 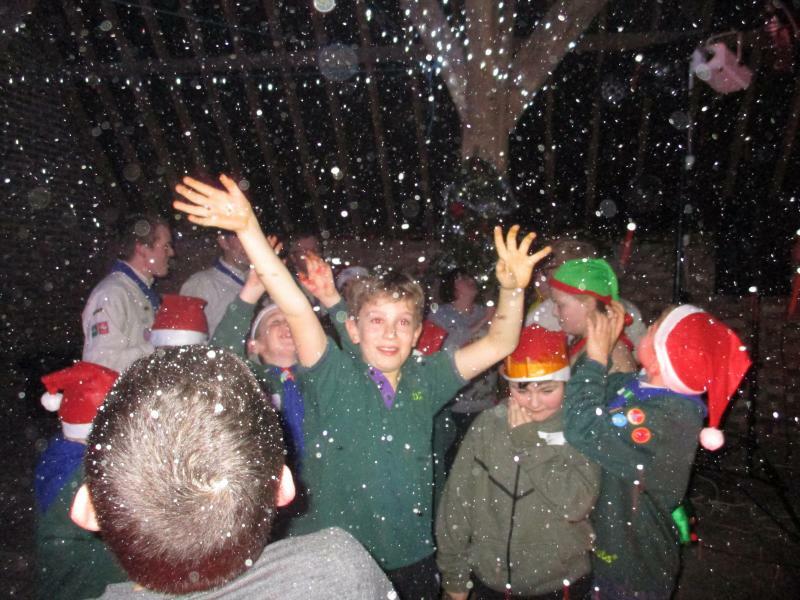 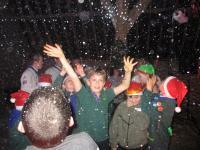 The finale of every party saw it snowing in the barn - a treat for everyone. A massive thank you to all the team - we couldn't do it without you and to everyone who came along and had fun.